In the last fortnight NZCCSS has released the final poster and flier in its series of key messages for 2008 under its awareness raising programme, Aroha tētahi ki tētahi - Let us look after each other. The poster image is featured on the right-hand side of this page. Please visit www.justiceandcompassion.org.nz for more information. Since the last issue of Policy Watch the Coalition Agreements between National and United Future, National and ACT and National and the Maori Party have been made public. Only the Maori Party agreement articulates similar goals to NZCCSS where on page 3 it states: “The Maori Party seeks significant outcomes in whanau ora, through eliminating poverty, advocating for social justice, and advancing Maori social, cultural, economic and community development”. The Ministerial portfolios of Pita Sharples and Tariana Turia mean that they will have some control over service delivery and funding in the areas of social development, education, health and community and voluntary sector. In the agreement with United Future the commitment is made to maintaining the role of the Families Commission with the caveat “whilst seeking to achieve administrative efficiencies between the operations of the Families Commission and the Office of the Children’s Commissioner”. United Future is also keen on using private hospitals to reduce elective surgery waiting lists. National has committed to supporting United Future's income splitting legislation to the First Reading Stage. NZCCSS is opposed to income splitting on the basis that it does nothing to reduce poverty for the most vulnerable. Unsurprisingly there is no common ground between NZCCSS and the National-ACT Agreement. This agreement focuses on lifting productivity with the benchmark of closing the income gap with Australia by 2025. The Law and Order policies take a get tough on crime approach, climate change legislation is to be reviewed and implementation delayed. 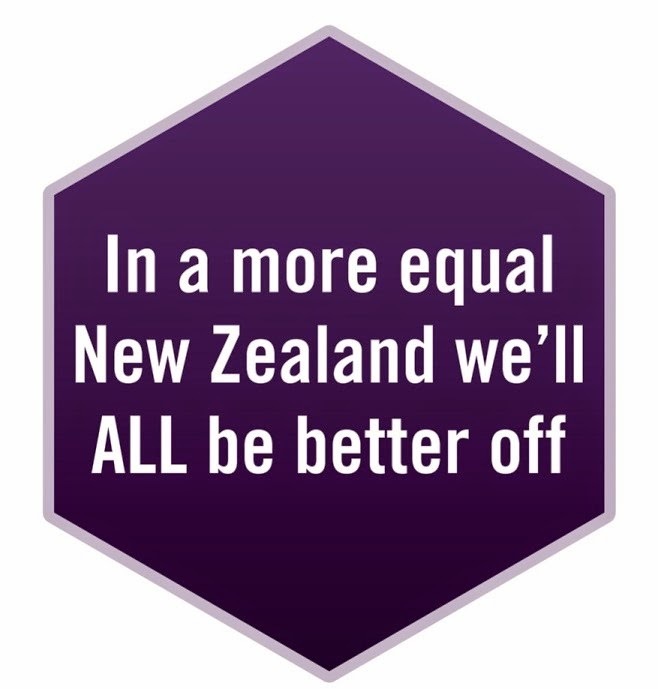 National ACT and United Future all agree on the need to lower tax rates. Regional Workshops this week - Mental Health and Addiction of Older People & Dementia Project: The Ministry of Health is currently developing a guidance document to advise DHBs on the best ways to meet the mental health and addiction needs of older people, and those people of any age who suffer from dementia. The MoH warmly welcomes everyone who is interested in participating in one of the Regional Workshops that will inform the development of this strategy. They are being held in Dunedin on 1st December, Christchurch 2nd December, Auckland 3rd December, Hamilton 5th December (10am – 3pm) and Wellington 8th December (1pm – 5pm). Please RSVP contact Claire Tennent on 04 816 4336 or claire_tennent@moh.govt.nz, indicating the location of the workshop you wish to attend, to reserve a place. The purpose of the regional workshops is to inform the sector on the progress of the strategic framework and to discuss key issues identified in findings to date, and to identify and discuss further issues. Several key themes have been identified, including: management of funding, fragmentation of the system of care & difficulties faced by service users and their families and whanau. The MoH intends to collate the views of workshop participants and use them to inform the development of the DHB guidance document. Our Grassroots Voices project is moving ahead towards publication. One of the key messages from the Grassroots Voices research has been on the importance of early intervention support for families and the need for affordable quality parenting support. The Incredible Years programme is to be expanded and is a good example of early intervention to support parents of preschoolers with behavioural problems. On the other hand news that the rural affairs portfolio is be axed has been received with disappointment by Rural Women NZ. Our Grassroots Voices research findings remind us of the importance of ensuring good service provision to support families includes rural communities. In a recent media release Maureen Little from Presbyterian Support Northern’s Budget Service talks about the changing profile of people using the service, with increasing numbers of families with high incomes having difficulties managing debt. Age Concern has raised the issue of energy poverty and its impact on older people in a recent press release. This was in response to the recent 11% increase in electricity prices in Wellington and Otago. A significant event on the calendar for next year is the 2009 International Conference on Aging and Spirituality - Gender, Culture, and Care - being held August 30 to September 2 in Auckland, and organised by the new Selwyn Centre for Ageing & Spirituality. , this international conference will be a key event in 2009. The conference website has a call for papers to be submitted by end of December.